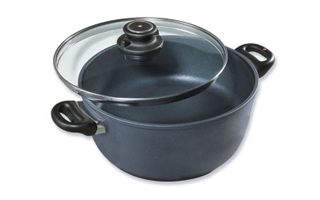 This non-stick cookware from brands such as All-Clad, Scanpan, and Swiss Diamond is perfect for cooking anything from bacon and eggs to soup or stew. 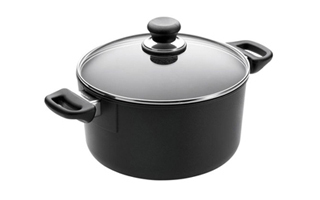 This quality cookware is incredibly easy to clean and keeps food from sticking thanks to advanced non-stick materials. A nonstick fry pan is sure to become your favorite pan for making fried eggs. Also, it will never change the true flavor of food because the quality non-stick materials in this cookware do not react with foods. 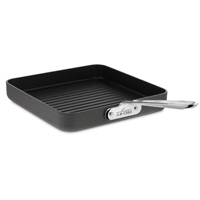 Scanpan's non-stick cookware has a long-lasting non-stick surfaces that's safe for the dishwasher. You can even use it with metal utensils. This surface keeps your food from sticking and is made with super-hard ceramic and titanium so it's reliable. 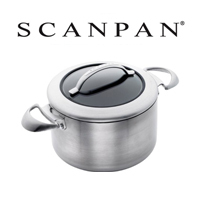 Scanpan cookware is made in Denmark. 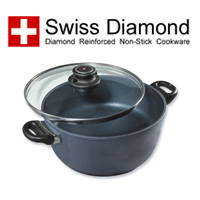 Swiss Diamond non-stick cookware is tough enough to be used with metal utensils and put in the dishwasher. 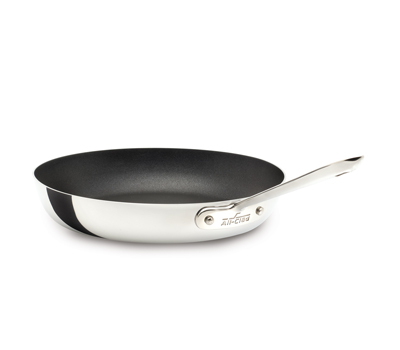 The non-stick surface is resistant against damage because it uses industrial diamonds to protect it and improve cooking. Swiss Diamond is made in Switzerland. 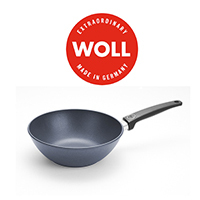 Woll nonstick cookware is made in Germany and environmentally-friendly. 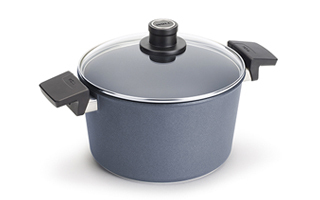 Woll cookware is free of PFOA and its surface is extremely scratch resistant. You can even put these well-priced non-stick pans in the dishwasher. 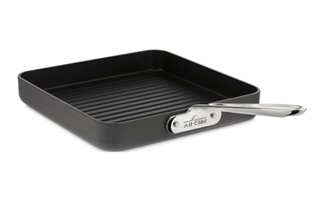 All-Clad non-stick cookware is easy to clean and excels at keeping food from sticking to the cooking surface. This stainless steel non-stick cookware heats up quickly and without any hot spots because it's clad with steel and aluminum. All-Clad cookware is made in the USA. 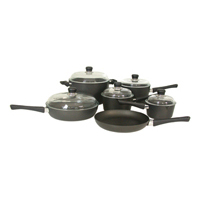 These non-stick cookware sets are priced to save you money by buying as a set, rather than as open stock. 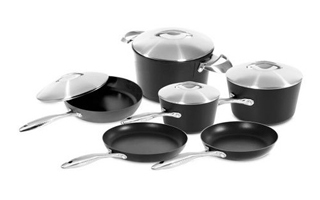 Each of these sets from companies like All-Clad, Scanpan, and Swiss Diamond is easy to clean because they feature high-quality nonstick surfaces. 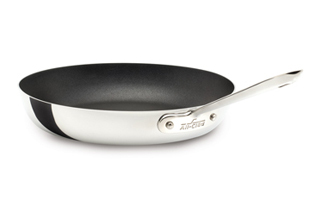 Non-stick frying pans from brands such as All-Clad, Swiss Diamond, and Scanpan are kitchen essentials. They're perfect for staples like eggs or pan-fried fish. Also, these high-quality nonstick pans are easy to clean. Food comes right of off them thanks to their nonstick surfaces.